220 x 150 mm (9 x 6 inches) - xvi, 210pp. G: in good condition without dust jacket. Minor rubbing to covers. Lower edge bumped. Signature to fep. Occasional light foxing. Signature of Dan S. Lewis of the Royal Scots Greys, dated March 1957. 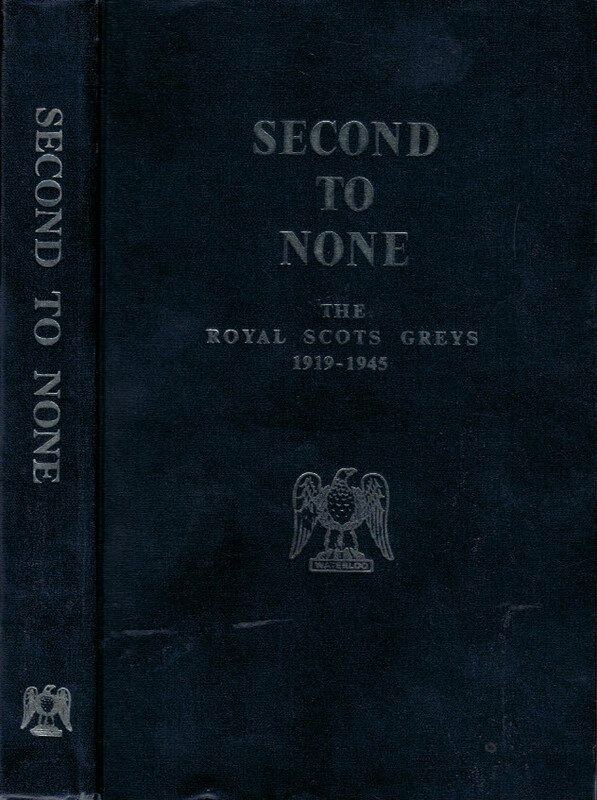 Foreword by Field-Marshal Montgomery. Loose extract from 'The Scots Grey in 'Mechanization' by M R Sheldon loose inside the book.